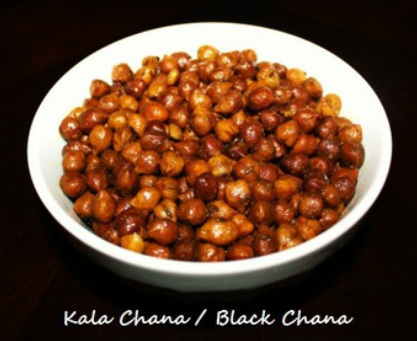 Kala chana (Black chana) is a very popular dish in north India during Navratri time. After Ram navami puja it is served as a prasad with sooji halwa and poori. 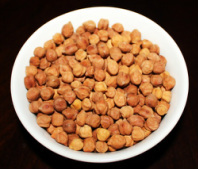 Black chana is dark brown in color and smaller in size then chickpeas. It is also known as Bengal gram. Black chana is low in fat rich in protein and fiber and have very low glycemic index. 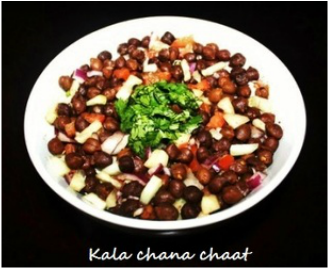 Black chana could be eaten as a snack or as a side dish for lunch and dinner or you can make delicious salad by adding some vegetables or you can make delicious chaat by adding some spices and chutney. Boiled chana is blend and have a nutty taste but when cooked with spices it gives a wonderful flavor. 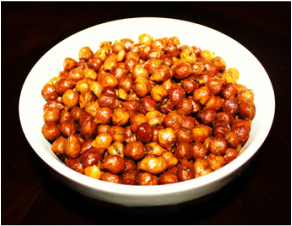 There are many ways to cook chana, here is a simple traditional recipe to cook chana which is prepared during the kanjak ceremony on the last day of Navratri, but it could be served as a snack or for making salad. 1. 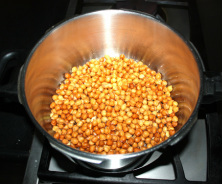 Wash and soak kala chana in approximately 4 cups of water over night or for at least 6 hours. 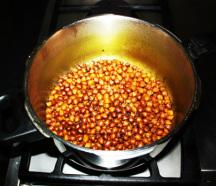 The kala chana will double in volume after soaking. 2. 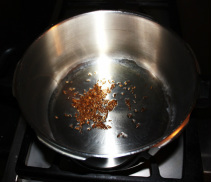 In a pressure cooker heat the oil, add cumin seeds and asafetida and fry them for 2 to 3 minutes or unill cumin seeds become brown. 3. Now add soaked chanas, salt turmeric powder and ½ cup of water and mix, close the lid of the cooker and place the weight on it and cook on medium heat. 5. 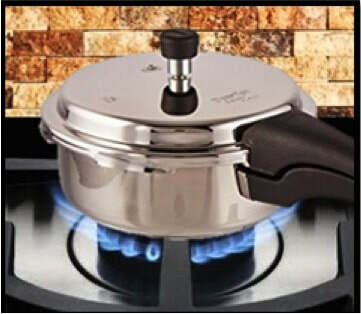 Once the steam of pressure cooker goes down open the cooker. 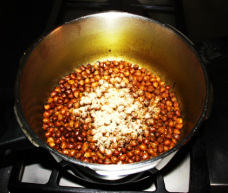 Turn the stove on to medium and with a serving spoon mix the chanas, if there is a water in the chana then let it cook until all the water evaporates. 6. Sprinkle Mango powder and mix. Turn the stove off. 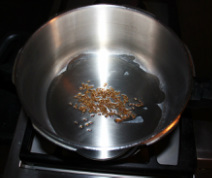 Transfer the chanas in a serving bowl. 1. 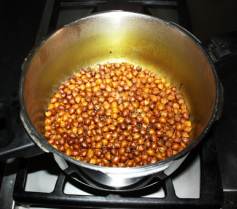 As chana cool down their color become darker. 2. 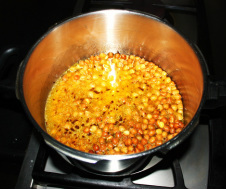 After cooking kala chana holds its shape well, so make sure to test if it has cooked all the way. 3. You could also prepare chanas as a curry. 1 hour or longer to cook and you need to add more water. and garnish with chopped coriander leaves and lemon juice.